[for 2015 only] It's Friday, I finally got a hair cut, and it'll probably be a crazy busy weekend... I think I have time to stop at Target and grab a snack for later. Aww look, it's even on sale for me! White plastic sealed removed - Oh that's fun looking! Mmmm, interesting first bite, caramel start with a fun chocolate finish. 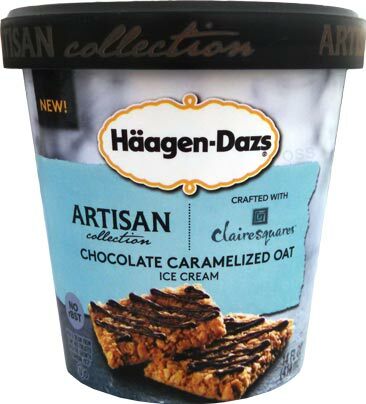 You dont see chocolate covered oats in ice cream, ummm, ever, so I'll do my best to describe them. It's not a crisp crunch, but there is a fun chew to it. Like someone shoved a candy bar in a blender, just not sure which candy bar yet. The base is definitely caramel, reminds me of....ummm... where are my words today... ahhh, let's eat more chocolate oats because they are everywhere. Let's try again. One, it's certainly unique. Two, it's well made ofcourse. It's definitely trying to hit a candy bar or treat vibe... though it's not a sweet caramel base, or buttery, but it's not salty either. Uggg, I really need to learn my caramels. It's definitely a dangerous ice cream as I just want to dig and dig and dig for the clusters. Doh, I should photographed one. sorry, no shiny penny on hand... or good lighting for that matter. I cant say I'm head over heels with this one... but it is taking a large amount of will power to not eat this whole faux pint of deliciousness. On Second Scoop: Ok, yeah, I definitely like this one. You get an oat cluster in every bite so that's the highlight for me. I really appreciate how different this one is, but I can't help but wonder if the base should have been a little more complimentary. All and all, that's a pretty small complaint. If you have an idea for a different base, mention it in the comments, or once you try this one, let us know what you think about the pairing. I'm glad this came away with a positive review bc it's one of the flavors I hope to find. Looks tasty! Well oats and nuts are often paired together. I would put it in a peanut butter base. Here's another crazy idea. I often put sweetened condensed milk in my oatmeal in the morning. I know someone did an ice cream with sweetened condensed milk...I think Blue Bell. How about that base?! I would put it in HD's Dulce de Leche base. For some reason I think that might pair well. I like this one a lot and it reminds me of a candy bar, too. Forget the name, but one of the candy bars from the 70's perhaps. It was like a rice crispy bar covered in chocolate. Was it the 100,000 dollar bar?? @ibagoalie: YES! That's what it reminds me of. Thanks, that was bugging me bigtime! 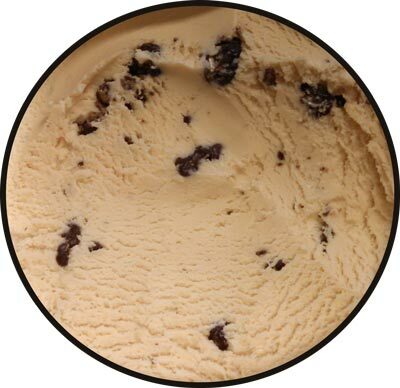 Guess I'll try to find this one since Talenti's new Oatmeal Cookie Gelato is apparently NEVER coming to Northern Virginia - Side not - Still have not seen ANY of the new flavors in my grocer's freezer. Lame. What about the rest of the Nestlé artisan products? Aren't there 4 concepts left? Or did I miss the reviews on those? 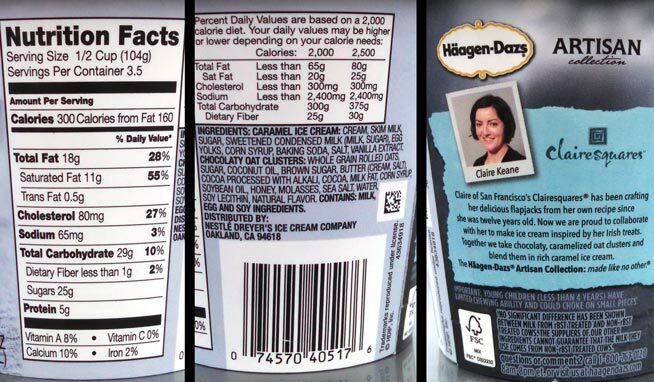 @Anon: for the most part, we review one flavor at a time as we stumble upon them in the freezer aisle. This is one of the better flavors of ice cream I've tried in a while. The oat clusters are really unique and tasty! 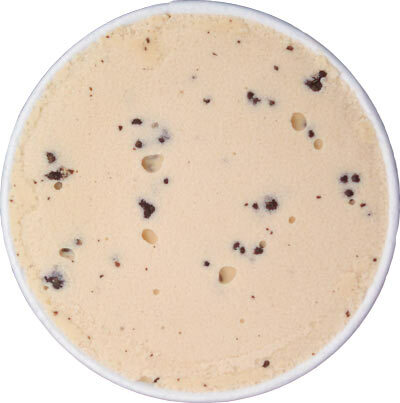 Have you tried Harris Teeter for the Talenti Oatmeal Cookie? It was my experience when I lived in Norhern VA that they generally had a pretty good selection of Talenti. I am currently stuck in a very small town a few states away but found my Talenti in a local Giant. I hope you will like it more than I did. Still pining away for my B&J's Oatmeal Chunk!